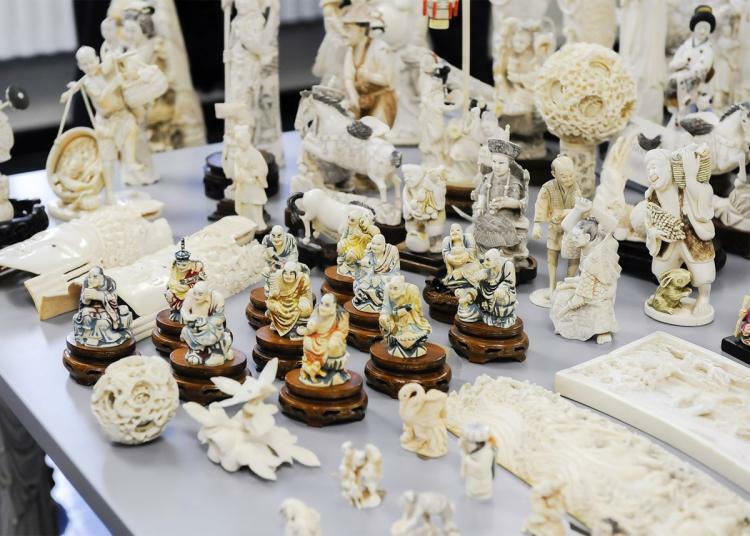 The New York State Department of Environmental Conservation (DEC) will destroy more than one ton of illegal ivory confiscated through state enforcement efforts over the last two years. The ivory tusks, trinkets, statues, jewelry, and other decorative items will be crushed in Central Park, New York City, Thursday while supporters gather to watch, sending a clear message that the state will not tolerate wildlife crime that threatens to wipe out Africa’s elephants. The high-profile, public event is being organized by DEC, Wildlife Conservation Society (WCS), and Tiffany & Co. Governor Andrew M. Cuomo introduced and signed a new law in 2014 that effectively banned the sale of elephant and mammoth ivory and rhinoceros horns, and strengthened the criminal and civil penalties for buyers and sellers whose actions are endangering elephant populations worldwide. An estimated 96 elephants are killed each day in Africa due to ivory poaching.